1-CD with 20-page booklet, 31 tracks. Playing time approx. 79 mns. He was one of the great hit idols of the 60s. His hits were real popular hits at that time and are still unforgotten today. From 1960 to the beginning of 1964 he ranked one record success after the other and occupied almost constantly top positions in the bestseller lists. He brought a total of 21 titles to the German charts. He received the'Golden Lion' from Radio Luxemburg and twice the'Silver Otto' from BRAVO readers. There was hardly a music film he wasn't in. Altogether he participated in more than 20 of these strips. At the same time he was one of the most employed artists in radio and television. His songs were original and catchy, mostly had humorous, funny lyrics and reached the audience. 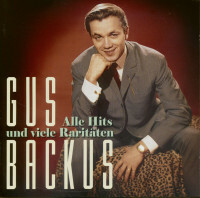 Gus Backus was regarded as a carefree sunny boy who always had fun and was popular with young and old alike. Born on September 12, 1937 on Long Island, New York, Donald Edgar Backus grew up with four siblings. After school he begins to study medicine. During his military service with the Air Force he joins a band called The Del-Vikings. In 1957 the formation can land a top 10 hit with Come Go With Me. 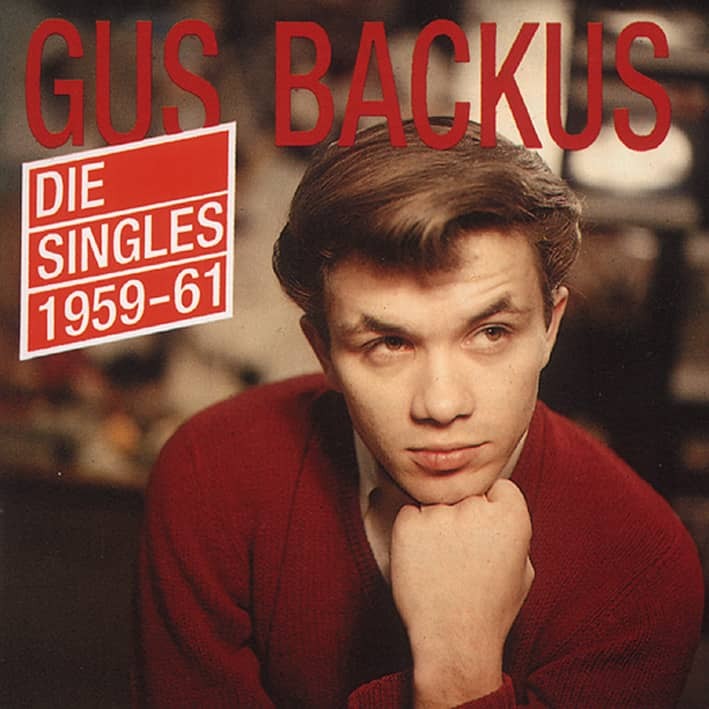 In the same year Gus Backus is detached from the US Army to Wiesbaden in Hesse. Here he first formed a new band, but then applied as a soloist at the record company Polydor, which also signed him and sent him to their Vienna studio to the successful producer Gerhard Mendelson. 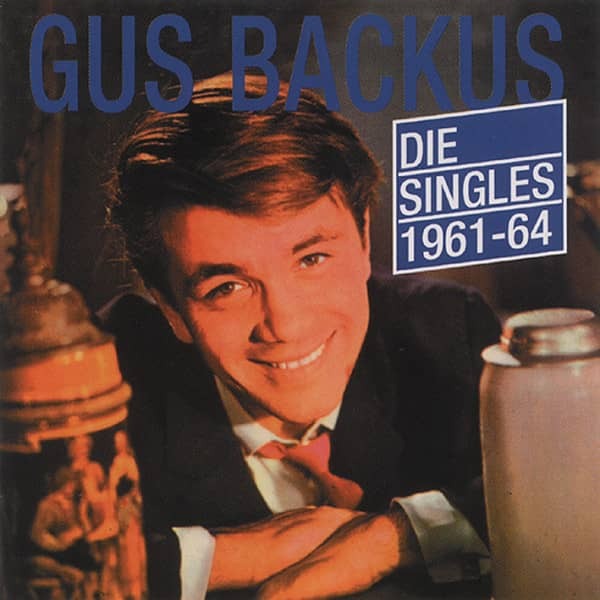 After five unsuccessful single releases, he made his first entry into the German charts in 1960 with the Indian love story Brauner Bär und weiße Taube, the German version of the US hit Running Bear. The title makes it into the top 20 and is listed for 27 weeks. 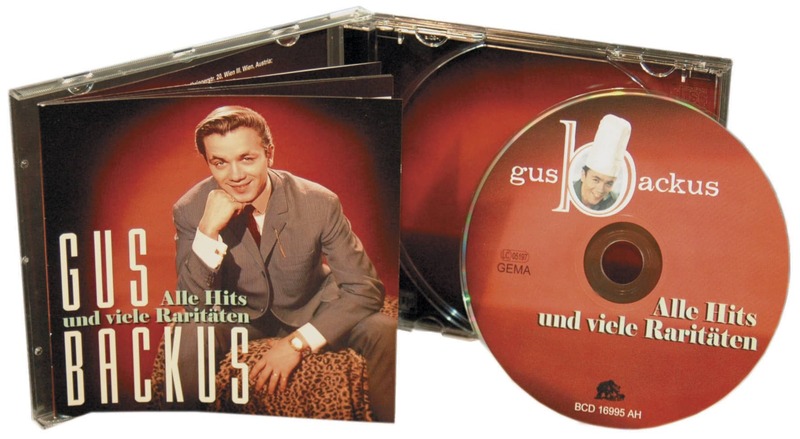 In the same year the next hit follows, this time a cover version of the Elvis Presley number Wooden Heart, to which the old German folk song Muß i denn zum Städtele delivered the original. "A lot was expected from this title," Gus Backus recalls, "but because the'Brown Bear' was so successful before, Gerhard Mendelson said, that an Indian still had to come". That's why the Werner Scharfenberger composition Da sprach der alte Chief was chosen for the B-side, which tells a funny story from the Wild West and is spiced up with Indian howls. Must i then starts very well and quickly makes the jump into the hit parades. When the backside is played on the radio from time to time, it becomes a hit and reaches position 3 in the hit parade. The former soldier from the USA with a mischievous smile is now one of the absolute favourite stars of the German pop audience. He receives the'Golden Lion' from Radio Luxemburg, which is presented to him at a major event in the Rhein-Main-Halle in Wiesbaden. 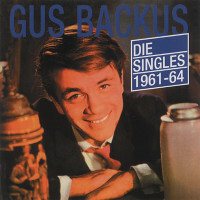 The potential that Gus Backus has as a musical funmaker is not yet quite acknowledged by the producer, because afterwards he is sent into the race with the folk song Goodbye. To please the many fans in Austria, Gerhard Mendelson records two Viennese songs with the singer: I bin a stiller Zecher and Heut' d'Engerln come on holiday to Vienna. A publication in Germany is not originally planned. But because the recordings are also frequently used by German radio stations, the single is also released here and is also on the hit lists. 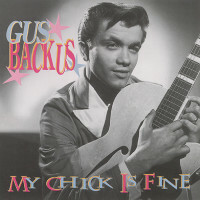 After this popular interlude, it's time to write another modern number for Gus Backus. Composer and lyricist Charly Niessen takes up a highly topical topic. Developments in space research are making rapid progress, the'Sputnik' satellite launched into space by the Soviet Union is making headlines and the first space ships for manned flights are being developed. The song of the man in the moon, who watches all the hustle and bustle from above, is just right. The idea of starting the recording with a countdown and the sound of a rocket launch proves to be extremely effective and provides the desired attention. 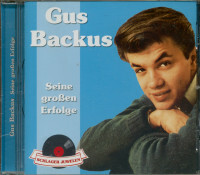 Gus Backus can thus book his greatest record success and conquer the top position in the German charts. In the 1961 Schlager balance sheet he is listed as the most successful singer, and soon afterwards he can be glued to the wall in full size as a'BRAVO' star cut. Musically he is now subscribed to Jux and Gaudi and has enormous success with this trick. Sauerkraut-Polka, Alle Schotten sparen or No Bier, no Wein, no Schnaps are all great sales successes. But also with more romantic songs like Linda, Der Mondschein an der Donau and Mein Schimmel wartet im Himmel he achieves excellent sales figures. Customer evaluation for "Die Singles 1961-1964"